One of her clients was arrested and charged as a Chinese spy in 2018, according to court records obtained by NBC Bay Area’s Investigative Unit. Visa fraud. That's what a Silicon Valley CEO and the company she founded are accused of committing. NBC Bay Area Senior Investigative Reporter Stephen Stock reports. A Bay Area woman with ties to an accused Chinese spy is at the center of a massive, nation-wide visa fraud scheme, according to court records obtained by NBC Bay Area’s Investigative Unit. 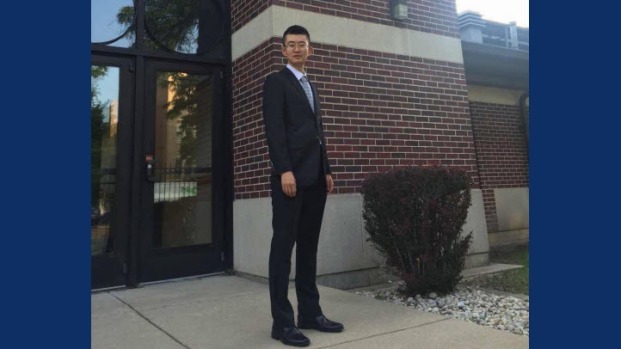 Federal prosecutors in Illinois charged Weiyun “Kelly” Huang with conspiracy to commit visa fraud in an 18-page criminal complaint filed last week. She’s accused of exploiting the “Optional Practical Training” (OPT) program for foreign students with F-1 visas, which allows visa-holders to stay in the country for at least 12 months of additional temporary employment directly related to a student’s area of study. But federal agents say the business is a sham, just a front for Huang’s visa fraud operation. According to the complaint, even the photos of Findream’s employees were stock photos found online. The true nature of Huang’s business, according to the complaint, is more accurately described on the Chinese website Chineselookingforjob.com, also operated by Huang. Chinese nationals seeking services from Chineselookingforjob.com, according to the complaint, would be told to list Findream as their employer on visa documents. The extent of the alleged fraud is widespread. According to U.S. Citizenship and Immigration Services records, Findream ranked tenth among all U.S. companies employing Optional Practical Training students between 2003 and 2017, ahead of huge companies such as Facebook, IBM, and Apple. By comparison, the listed headquarters for Findream, LLC is inside a shared workspace building in downtown Mountain View, where a receptionist told NBC Bay Area they rarely see anyone from the company. But according to immigration records, the company claims to have employed thousands of foreign students in recent years. “Approximately 1,900 F-1 visa-holders have listed Findream as an employer on their OPT forms,” the complaint states. A search of LinkedIn by NBC Bay Area's Investigative Unit found hundreds of active profiles listing Findream as a current or former employer. Many list China as their home country. Huang herself, according to the complaint, originally came to the United States from China on an F-1 Visa in 2009 to study at the University of Mississippi. In 2014, she was issued a 24-month L-2 visa to “accompany her husband during his sponsored employment in the United States.” She listed Findream as her employer on the visa application. Federal investigators, based on a review of subpoenaed records, say Huang deposited more than $1.5 million into her bank accounts between 2013 and 2018, including nearly $1 million received via peer-to-peer payment services, such as PayPal and Venmo. An attorney representing Huang said he could not comment on the charges when reached Tuesday morning by NBC Bay Area. Of the 1,900 F-1 visa holders who listed Findream as their employer, one name in particular stands out: Ji Chaoqun, who was arrested last year and accused of spying on behalf of China. Ji, according to federal agents, arrived in the United States from China on an F-1 visa in 2013 to study at a University in Chicago. In 2015, he submitted a form seeking authorization to stay in the country for Optional Practical Training. He listed Findream as his employer, where he claimed to work 25 hours per week. A Findream employee certified under penalty of perjury that Ji was employed by the company. According to the criminal complaint, federal agents believe Huang to be the Findream employee who signed off on Chaoqun’s documents. A search warrant served on Huang’s email account found two documents pertaining to Ji’s alleged employment at Findream, including an employment offer letter and an “employment verification letter” dated January 9, 2017. Ji listed his employment address at a purported Findream Chicago branch, but when agents visited the address, building employees said there were no records of Findream having office space there. In September, 2018, Chaoqun was arrested and charged with acting as an agent of a foreign government. According to court records in that case, Ji conducted background checks on a group of Chinese nationals working as engineers and scientists in the United States at the behest of Chinese intelligence officers. Ji, according to court records, also enlisted in the U.S. Army Reserves’ Military Accessions Vital to the National Interest (MAVNI) program in 2016, a specialized program for foreigners deemed “vital to the national interest” living in the United States legally. In his application, he denied any involvement with a foreign government. The criminal complaint against Huang doesn’t say whether she was aware of Ji’s alleged activities as a foreign agent, and does not accuse her of being a Chinese agent herself. The complaint does not give the identities of the remaining 1,900 or so Chinese nationals who listed Findream as their employer for Optional Practical Training. Huang is due in court Wednesday for a detention hearing. NBC Bay Area will continue to update the story as more information becomes available.